* Direct, unobscured ocean views. Walk down the steps and out the door, take a few steps through the grass, open the gate and take a deep breath - sand, surf and total relaxation! *As you step into your home away from home, you will find a complimentary wine and cheese tray awaits your arrival. *Settle in to the two newly redecorated bedrooms, and two full baths with stone showers. 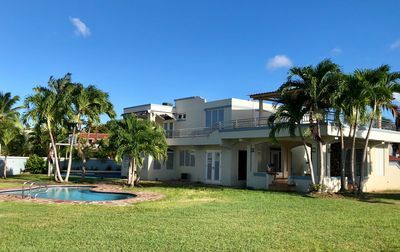 Large open living / kitchen / dining area as well as ample space on the patio or private terrace for eating or entertaining. There are two terraces off the main floor Great Room perfect for dining al fresco and watching the sunrise. The kitchen is fully equipped to meet your every need. 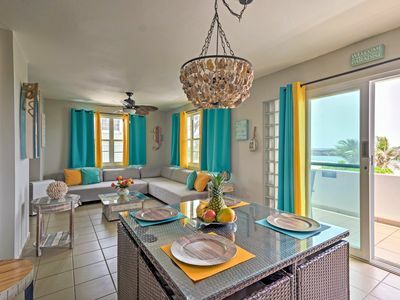 *Artful touches abound in the prettiest condo in Luquillo - many items crafted by local Puerto Rican artisans. Local original artwork graces the walls, and the entire condo has been redecorated since June 2014. Perfect for the guest who wants to see beauty both inside and out. *Head up to your own private rooftop terrace providing you with 1200 + sf (and a half bath) of direct ocean front relaxation space - this unique feature is truly a bit of paradise. (The terrace is for you alone and not shared by any other condos.) Few PR condos are able to offer this luxury feature. 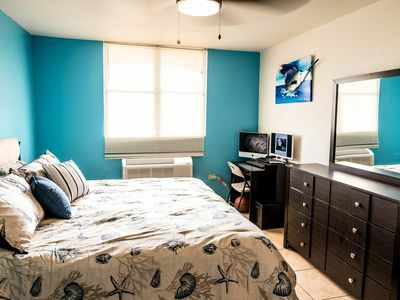 *Additional amenities including beach towels, books, DVDs, radio, lawn chairs, cooler, boogie boards, snorkel equipment - the list goes on and on! NEW!! - a printer with WIFI is available for you to print your boarding passes. *Wal Mart and Walgreens within a 5 minute drive for incidentals and/or prescription needs, as well as several lovely local stores. 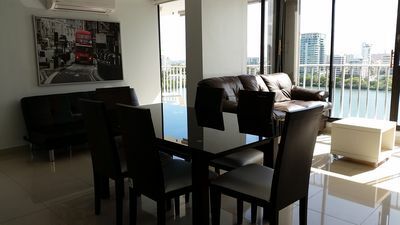 *One additional item you will be hard pressed to find - this rental comes with your own personal CONCIERGE. Alana can provide information on local culture, shopping, and any activities that interest you. What area is best for snorkeling? For surfing? Alana can guide you. She can arrange anything from adventurous day trips to a quiet personal massage at the beach or on your private rooftop terrace. Hungry but don't want to cook? Alana can set up catering for breakfast, box lunches, and dinners. Please notify her in advance when at all possible, so that we can ensure you make the most of your time on the island! *Location, Location, Location! 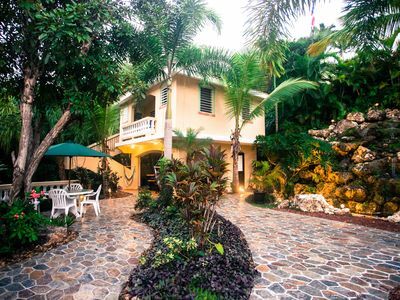 During your vacation you will be within walking distance of LaPared Surfing Beach, a few minutes' walk to restaurants and 2.5 miles from the entrance to El Yunque Rainforest. You will be close to Phosphorescent Bay and the Historic Lighthouse. Fishing and snorkeling charters can also be found nearby, and you may consider taking a ferry to the smaller islands. A day trip to Old San Juan to view the magnificent architecture is always time well spent. Come and experience this little slice of paradise....let the cool breeze and sound of surf wash away all your daily worries. THIS is what vacation is all about! Families are able to pack light for their little ones. Baby accessories are available for a small fee (Pack n Play, high chair, stroller, and baby bath tub). New owners in early 2014 but property management has stayed the same- you will love the TLC Alana provides! 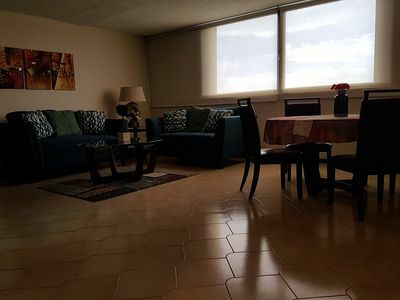 This condo served as a great base for a week in Luquillo. The highlight is the incredible beach right in front of the property -- no gearing up to spend a day at the beach, no packing, no forgetting something -- walk for about 42 seconds and you're there. The water was quite calm, as others have noted, so it was great for our 3 year old, and snorkeling right there was a lot of fun, too. 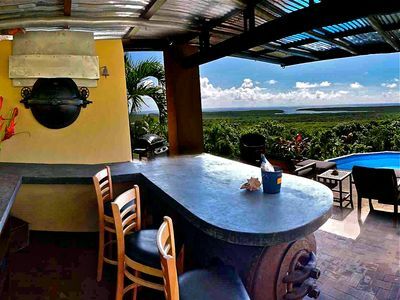 There are many food options all within ~2 miles of the condo, either in the town of Luquillo or over at the kioskos, so there's no chance of culinary boredom. There's also an Amigo supermarket in town which carries most everything you'd need for making breakfast, lunch, or dinner at the condo. The condo is also an excellent location for exploring other parts of the island. We twice drove into Old San Juan (about a 40 minute trip) and also visited El Yunque (about 20 minutes). Fajardo, where the ferries leave for Vieques and Culebra, is also nearby. Alana, who recently took over as a property manager, was very pleasant to work with, and quite responsive over email in answering some questions I had. We didn't avail ourselves of her services, but she offered to have groceries waiting for us, get ferry tickets, etc. 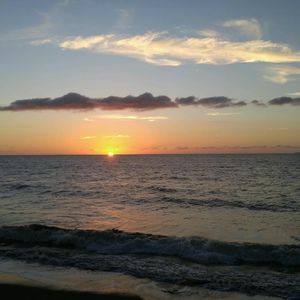 The location of this condo is unsurpassed, directly on the beach, where you can snorkel, or walk about a mile along the beach to an excellent swimming beach. 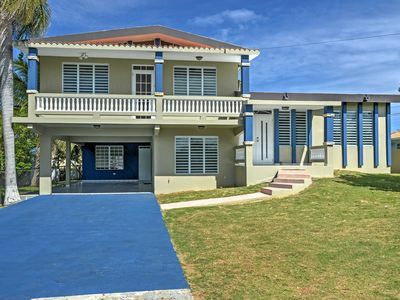 It is very quiet and secure, no loud music, but close to restaurants, grocery stores etc., and a short drive to El Yunque park and to ferries to Vieques and Culebra. Alana, who manages the condo, is very helpful, and responds immediately to texts/phone calls. 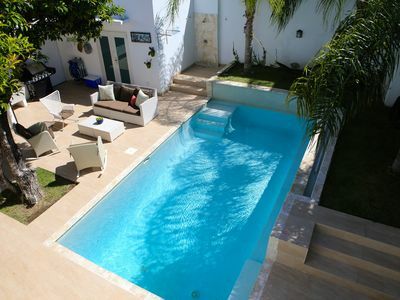 we have already booked for next year! 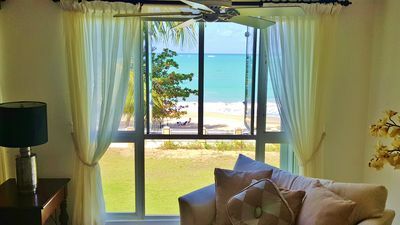 Guest Adam and Beth W.
Located at Poza del Mar, Luquillo, Peurto Rico, this rental is a beautiful place to vacation. 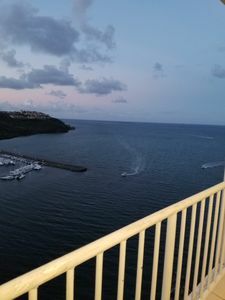 The third floor condominium had great views and a wonderful ocean breeze. The location is excellent to enjoy El Yunque, Fajardo, the Routa Panoramica and even Rio Camuy Caverns. The owners could not have been easier to work with. They were very helpful. To help you find the property, especially if you arrive at night, put in these GPS coordinates: N 18 degrees 23.288' W065 degrees 43.245' . 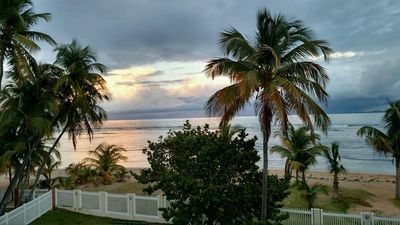 The condo rental was perfect for our puerto-rican vacation. Beautiful sunrises, and cool ocean breeze, never even needed the air conditioner. 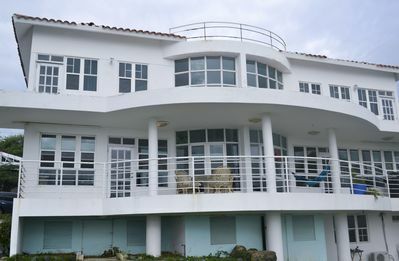 The shuttered windows let in the breeze perfectly, the gated parking lot and back yard was very nice and secure, the beach behind the condo was very nice and clean and deep enough to snorkel and watch fish, the reef stops the breakers about 75 yards out. So the beach is safe for children also. You can walk down the beach 100 yards to where the water is deeper and the waves come in real good. 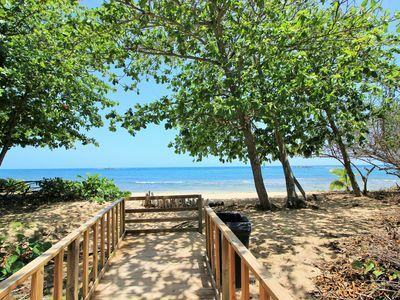 The condo location is perfect to explore the rest of the island, Minutes to the rain-forest ( El Yunque) Close enough to Fajardo to the ferry for day trips to Culebra and Vieques. 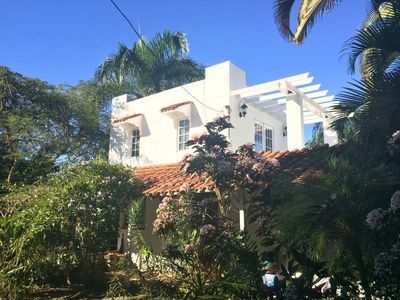 A short drive to Old San Juan and a short drive down the east coast into the mountains, beaches and light houses. It was the perfect base for our Puerto-Rican adventures. 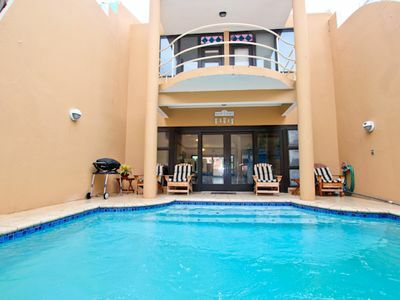 1 Block Walk To Beach, Ocean Park, 3 Bedroom Apt, Parking, Cable-WiFi, Air Cond. El Yunque FULLY Solar Powered Rainforest House- 20 Minutes from Airport! 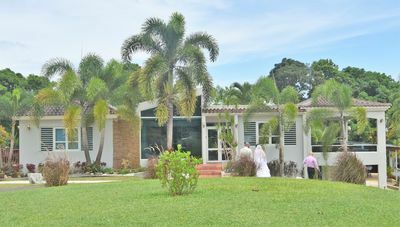 Stunning Aguadilla Villa w/Balcony & Ocean Views! 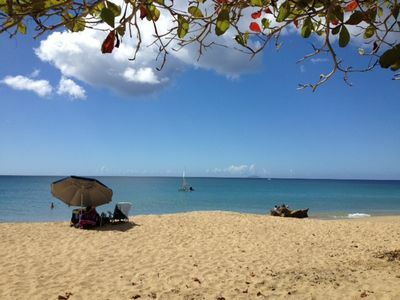 “Seas the day” at Sandy Beach. 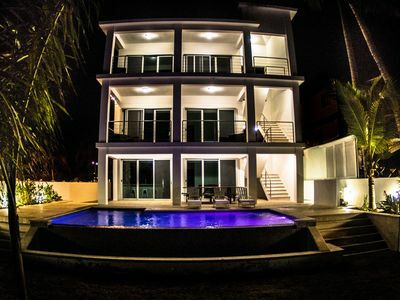 Beachfront with a pool, BRAND NEW!